LANDIKOTAL: Best students of a state run school in the remote area of Landikotal 'Karamna' are seen with their trophies. LANDIKOTAL: The annual result day was celebrated at government-run schools in Landikotal on Friday where position holder students were awarded with case prizes and trophies. 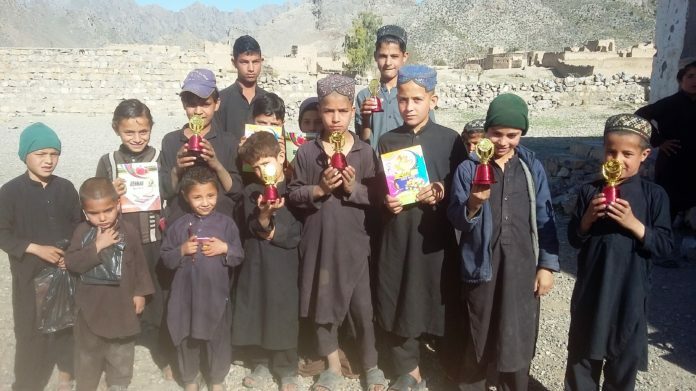 A ceremony in this regard was held in the remote area of Landikotal ‘Karamna’ at GPS Alam Khel where best students were awarded with trophies. Another result day ceremony was also arranged at the government-run Middle school Abdul Latif Khan Killay in Landikotal which was attended by a large number of students, teachers and sports lovers. Principal Madat Khan Afridi was the chief guest on the occasion. 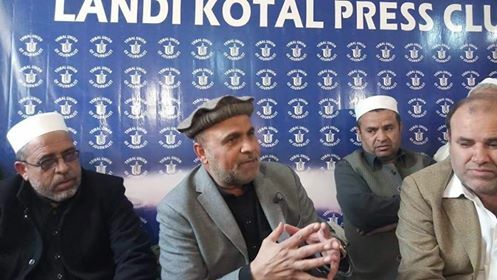 Praising the staff efforts Madat congratulated the position holders and said that his school’s students excelled across the schools in Landikotal tehsil. Later cash prizes, trophies and a cycle was also distributed among position holders and best volley ball and cricket players during the Pakistan’s day sports gala.